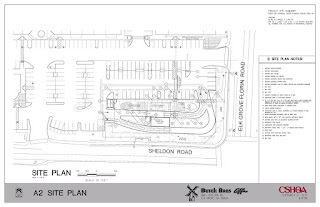 The local operator of the highly popular Dutch Bros. Coffee in Elk Grove will have its application to open a second location heard by the Planning Commission during their April 7 meeting. The application is for an 800 sq. ft. drive-thru store on the northwest corner of Sheldon Road and Elk Grove-Florin Road in the Sheldon Crossing strip center. The application consists of two elements - a major design review to amend the site plan and a conditional use permit. The original approval for the strip center in 2003 required that an addition of any drive-thru facility be approved by the City Council. Additionally, because the drive-thru facility is within 1,000 feet of the rural residential general plan designation, it must obtain a conditional use permit. The first Elk Grove Dutch Bros. opened on East Stockton Boulevard and Elk Grove Boulevard in February 2015 and became an instant success. The popularity of the 24-hour operation though has frequently caused traffic problems because of its unusual location near an on-ramp to northbound Highway 99. 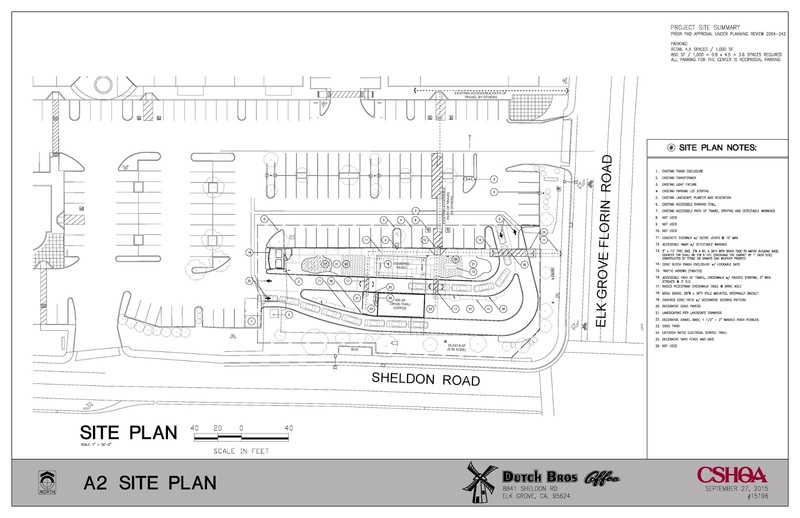 The Elk Grove Planning Commission's April 7 meeting starts at 6 p.m.
Site plan for Dutch Bros. Coffee's second Elk Grove location. A drive-thru facility, sounds good to me. Don't those rural people like their coffee too and they'll have a roundabout to get it faster. Ugh....coffee is a sham in general but the crap Dutch puts out is the worst, even worse that Dunkin Donuts (for anyone on the East Coast). It really is the perfect corporate business for the most corporate of suburbs....sugared up, cutesy named, sugar, milk, and espresso all for $5. Mindless crap for a mindless community. Of course we need two of them.